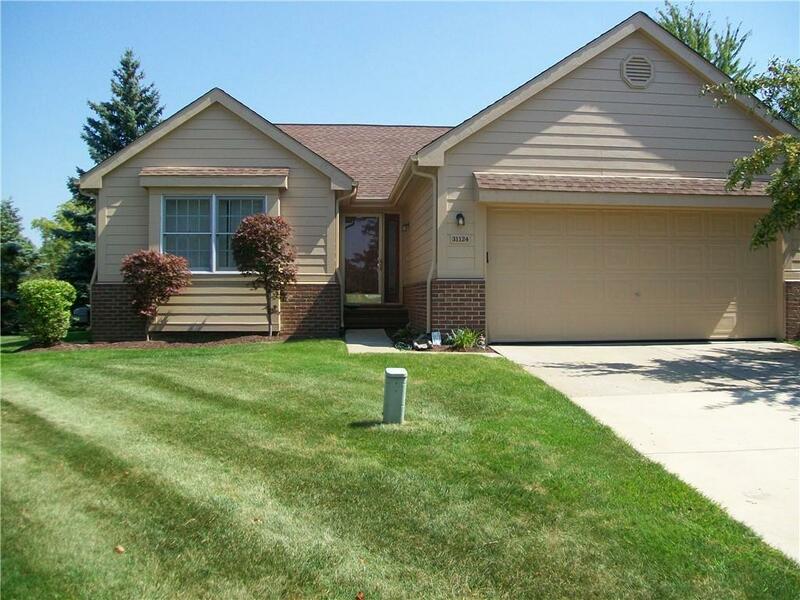 Maples of Novi Maple Greens detached ranch condo in move-in condition. Spacious corner lot, wonderfully close to shopping, restaurants and expressways. Large eat in kitchen with first floor laundry/mud-room and attached 2 car garage, Open Great Room with Fireplace. Third bedroom could be the library. Wood flooring and recessed lighting thru-out Doorwall & large deck off the kitchen. All appliances stay with condo. Large basement and 1 year First American Home Warranty.